Minnesota’s Brother Ali has gotten a lot of press for being an anomaly in Hip-Hop: an albino Muslim with two white parents who doesn’t drink or do drugs, in keeping with his faith. However, rap has always been the music of the outsider, so in that respect, his ascendancy to the top of the game in his home state is no surprise at all. His distinctive appearance would never be enough to make him stand out, though, if it wasn’t backed up by an almost uncanny skill on the mic. His voice and delivery instantly command attention with the ferocious soul of a great preacher, and his lyrics have more than enough substance to back it up. Having been mentioned in more than a few of these columns already, it’s about time we took a deeper look at perhaps the greatest emcee to ever come out of Southside Minneapolis. Brother Ali exploded into the hearts and minds of Twin Cities rap fans with his 2004 debut full-length, Shadows on the Sun, featuring the beautiful and empowering hit song, “Forest Whitiker,” which touches on his unusual appearance and the ignorance behind many people’s perception of it. “To everyone out there who’s a little different,” he says, “Damn a magazine, these is god’s fingerprints / You can call me ugly, but can’t take nothing from me / I am what I am, doctor, you ain’t gotta love me.” Ali has always been about bigger concerns than the superficiality of race and appearance, though, and the multitude of amazing work he has put out in the last decade proves it. His lyrical content has ranged from the personal to the universal with no change in his passion and sincerity, and his love of everything to do with Hip-Hop culture is more than evident in songs like “Self Taught,” from his excellent follow-up EP, Champion. On his next album, 2007’s The Undisputed Truth, Ali delivered perhaps his most potent political anthem to date with “Uncle Sam Goddamn,” and his audience grew ever wider. He followed Truth up with the beautiful Us, on which he is introduced by no less a Hip-Hop luminary than Chuck D and goes on to feature like-minded Philadelphia emcee Freeway on one of their many collaborations together. The album alternates good life anthems like “Fresh Air” with thoughtful social explorations like “Tight Rope,” which tells stories of the dispossessed and disillusioned from an insider’s perspective. Of course, lest you get it twisted, Ali is more than capable of just straight up ripping a mic with the best of them, on absolutely any subject. It’s just that his consciousness and conscience set him apart at least as much as his phenomenal skill and instantly recognizable voice. 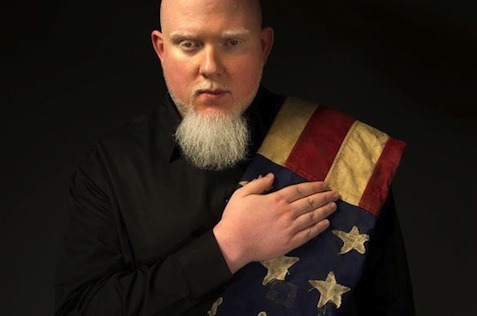 His latest album, Mourning in America and Dreaming in Color, arrives from Rhymesayers Entertainment today, and if early glimpses of its content are any indication, Brother Ali has not even begun to slow down.